We are honored to work with music educators and fortunate to be involved in a small part of the music education process. We thank you for the opportunities we've had to work with you for the last 19 years making on-site recordings for you and your students. Soundwaves was designed as an audio keepsake and fund-raising service for music educators. We are happy to see that many educators use their recordings as a teaching tool, and as a source of audition material. And so we are pleased to offer an additional tool for music educators: MEtunes, Soundwaves Online Music Catalog™ allows you to easily browse and securely purchase CD recordings for yourself or to play for your students as you teach new pieces. Please explore the site. We hope you enjoy it and find it useful. We are committed to providing you with our very best service as you go about your important work. Native of Lorain, Ohio, Founder, Co-owner, and Audio Engineer for Soundwaves, and father of two. 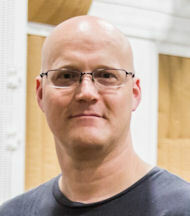 Dan studied literature at The University of Dallas, Texas, then worked in the 75-year-old northern Ohio family business before starting Soundwaves Recording in 1992. He plays keyboards and has a love of recording that dates back to his middle school years. He has helped design and build several recording studios, and now enjoys working with music educators and the occasional personal recording project. Co-owner, Business Manager for Soundwaves, and mother. Virginia graduated from the University of Dallas in Texas where she studied classical liberal arts with concentrations in philosophy and theology. She has taught high school logic, theology, and art history and has also taught writing and comprehension at Lorain County Community College in the developmental program for incoming freshman. 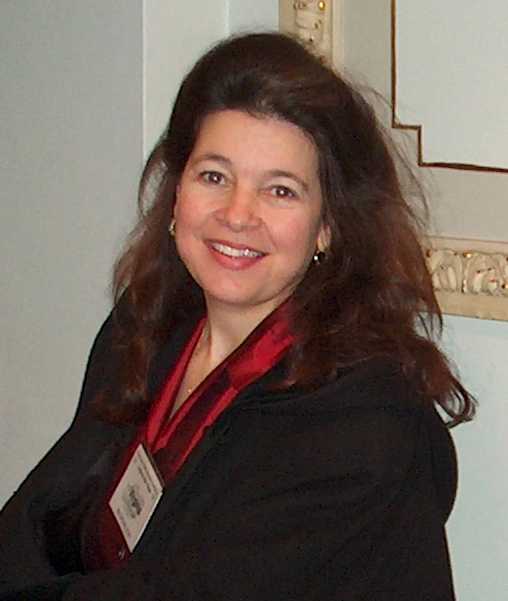 Virginia also attended Cleveland State University and studied accounting for her CPA certification which she received in 1993. Retired from teaching, Tim received both his bachelor’s and master’s degrees in Music Education from Bowling Green State University. Tim was listed three times as a member of Who’s Who Among America’s Teachers. He is an OMEA adjudicator and has served on the OMEA Band Affairs Committee as well as the High School Band Music Selection Committee. 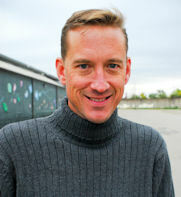 He has chaired OMEA solo and ensemble competitions and the Northwest Ohio OMEA District One Band Competition. 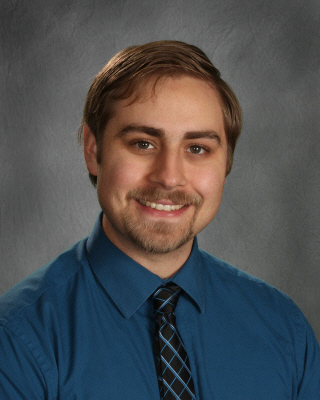 Mr. Hoffman is a member of the Toledo Jazz Society, Phi Bet Mu--the national school bandmasters’ fraternity, and is active as a clinician, private clarinet and saxophone instructor, and performing musician in the Toledo area. Tim is Soundwaves' Band Directors Representative. Tom is the Marketing and Scheduling Director for Soundwaves. 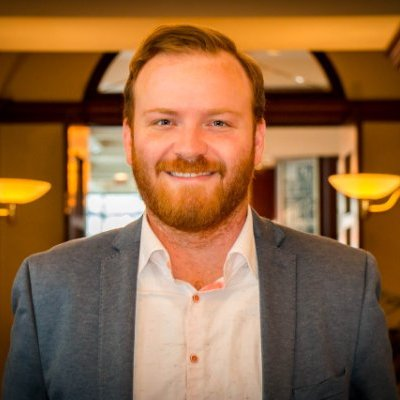 A native Clevelander, Tom has worked in the marketing and public relations field for thirteen years for arts organizations such as PlayhouseSquare, DANCECleveland and The Beck Center where he was responsible for managing diverse tours, organization wide communications and branding efforts and managing staff. Tom lives in Lakewood, Ohio and in his free time enjoys staying up to date on music technology and recording electronic music. Kristen is the Lead Graphic Designer and Project Manager for Soundwaves. She graduated from Sandusky High School and then Bowling Green State University where she studied graphic design and photography. She has done a wide variety of freelance design work over the years. 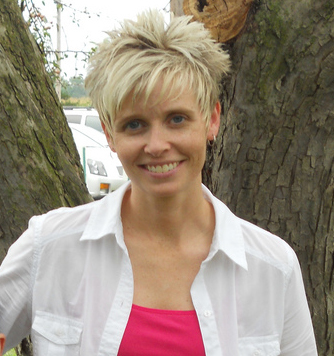 Kristen has been with Soundwaves for 13 years and has gained a lot of experience in CD design. She enjoys working directly with music educators to give them a final product they are excited about. Alice works in the office in customer service. Her duties involve answering the phones, processing customer orders, and packaging and shipping products to individuals. 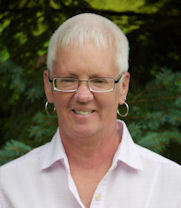 Alice worked for over 30 years as a Licensed Social Worker and has been with Soundwaves since 2010. She and her husband live in Huron Ohio and are the proud parents of a daughter, Emma. 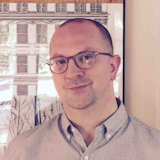 Dan Behnke — Dan is currently a full time Faculty member at Miami University in Oxford Ohio where he teaches courses in the Media, Journalism and Film department. He also owns a small company called Sound Alternatives where he provides training and sound equipment to high schools, and individuals who require sound reinforcement systems in the Dayton Ohio area. He is also on staff at the University of Dayton, where he works for the Music department managing a recital hall. Dan has been working for Soundwaves as a recording engineer for over eight years. Landon Bickel — Landon is a recording/mixing engineer based out of Seattle, Washington where he lives with his partner Michelle. In 2011 he received a BA in Audio Arts & Acoustics from Columbia College Chicago. In his free time Landon enjoys playing multiple instruments, golfing, skiing, gardening and woodworking. Tom Birchler — A resident of Livonia, Michigan, Tom sings and plays bass and guitar with several acts including The People’s Choice, Michigan’s longest established all-occasions band and The Paisley Fogg, a popular summer festival group. Career highlights include national recognition in numerous songwriting contests, appearances on local and national radio and TV and a stint as lead guitarist with Motown recording artists Rare Earth. Tom studied television and radio at Michigan State University and is a graduate of the Recording Institute of America, using that knowledge to build and operate several project studios. In October 2007, Tom began working with Soundwaves, recording school, church and community ensembles throughout Michigan. 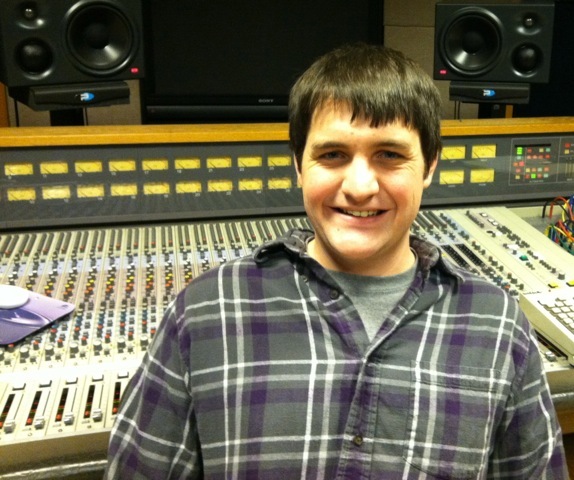 Jake Bronson - Jake is an audio and video engineer based in Chicago, IL. While studying Sound Recording Technology and Jazz Saxophone at DePaul University, he completed the internship program at Chicago Recording Company in 2014 and began freelancing at major music festivals as a technician for NEP Inc. and American Mobile. After graduating with a Bachelor’s of Science in 2015, Jake began working at IV Lab Studios as an intern and building his own client base. He is currently Studio Manager at IV Lab and continues to record, mix, arrange and perform a wide variety of music. Jake met Soundwaves in 2014 working as a freelance videographer in the Chicago area. Cody Boyce - Cody is a producer, composer, engineer, and multi-instrumentalist from Columbus, Ohio. He earned his bachelor's degree in Music with a focus in Audio Production from Otterbein University, whereafter he returned to teach guitar, his primary instrument. Cody co-operates a music production team of collaborators, fellow producers, songwriters, and artists, known as Music Evolved. He has performed in a variety of musical ensembles, including jazz bands and classical chamber groups. This broad range of musical experiences gives Cody a unique ear for recording any type of musical performance. Aside from audio and recording work, Cody also operates his own private music instruction studio. 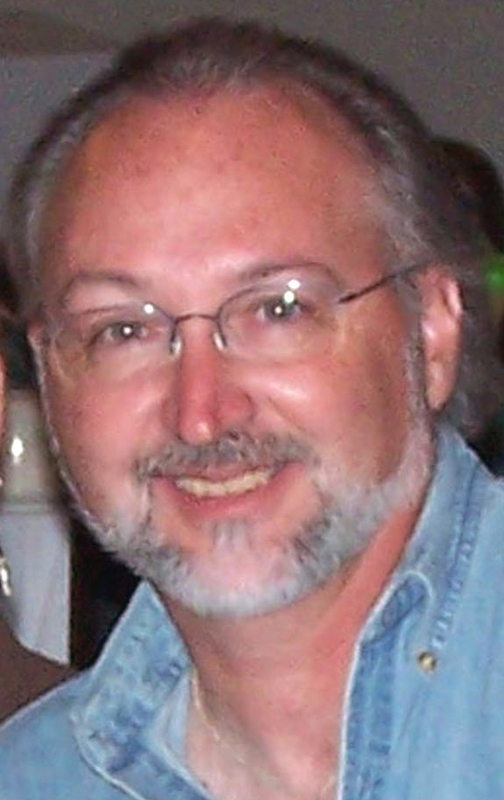 Dave Henderson — David Henderson is a free-lance recording engineer in Lexington, KY. He received music degrees from the University of Kentucky and The Eastman School of Music. Dave plays principal trombone with the Lexington Philharmonic Orchestra and the Lexington Brass Band as well as other groups, and often finds himself recording and playing the same concert. Dave usually records classical and jazz music, but listens to cartoon music when no one is around. Ted Hough — Ted Hough is the audio engineer and technical director of historic Hoover Auditorium at Lakeside Chautauqua, Ohio. Since his first season there in 1997 he has worked with hundreds of national artists ranging from symphony orchestras and big bands to solo artists, Christian artists and rock & roll, as well as a wide variety of traditional international musicians. Ted has been working with Soundwaves Recording since 1999. Kevin Hurley - Kevin graduated from the University of Connecticut with Bachelors and Masters degrees in Music Education. He is now teaching music at Quinebaug Middle College, a magnet high school in Connecticut, where he teaches chorus, recording, and electronic music. Kevin learned live sound reinforcement and audio recording by working for the music department and the Jorgensen Center for the Performing Arts at Uconn, and also from hobby recording projects at home. He is also an active musician, playing keyboards in two bands and for church. Matt LaFleur — Matt has been an associated engineer with Soundwaves for nearly 10 years. He began his career in audio engineering with Soundwaves while he was still in school at Schoolcraft College, studying for a degree in Applied Science for Recording Technology. While not recording with Soundwaves he continued his education by working in the field doing live sound, live recording, and operating a home based recording studio in Novi, Michigan. 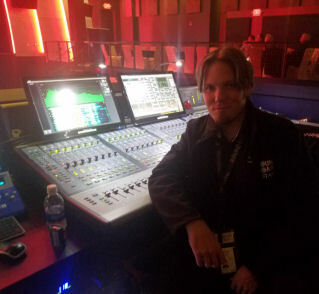 Currently Matt works full time as an Audio/Video technician at MotorCity Casino Hotel in Detroit, where you will frequently find him behind the console at Sound Board theater working with performers such as Kansas, Aaron Lewis, Ziggy Marley, Morris Day, Brian McKnight and many others. Nate Lockwood - Nate’s love of music began at an early age, first playing piano and singing in the church choir and later on learning to play drums and bass. While performing with several rock groups in high school, he was introduced to the world of audio recording and mixing, which led him to pursue a Bachelor’s degree in Music Technology from Capital University. 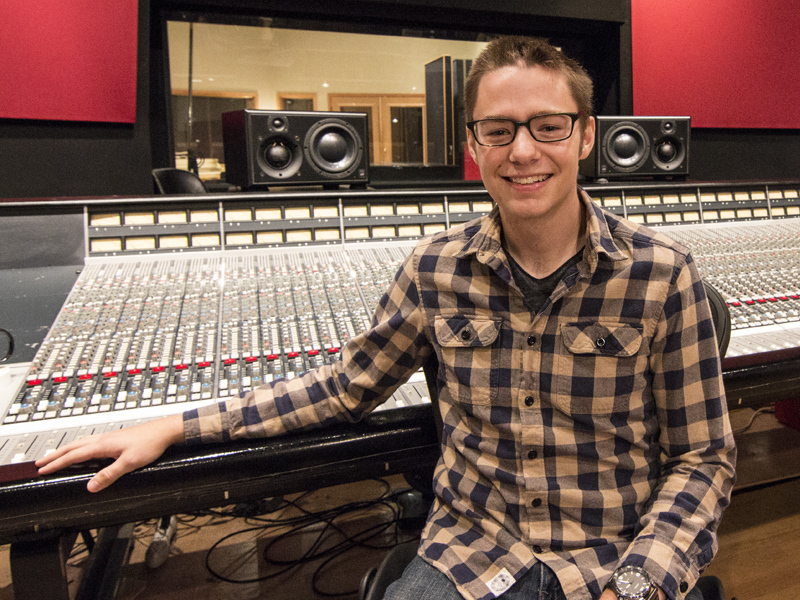 After graduating in 2013, Nate moved to Canton, OH where he works as a freelance audio engineer and video editor. Besides doing audio and video work for Soundwaves, he also does studio work at Audio Recording Studio in Cleveland, OH and is the front of house engineer for Hard Day’s Night, a touring Beatle’s tribute. He also produces and records independent artists in his home studio and does video production for various musicians and local businesses. Mike Matter — Mike graduated from Sandusky High School and Ohio University in the 1970s. He sang with the Ohio State University Men’s Glee Club and the Ohio University Swing Choir. He has been the co-owner of Musicians’ Alley in Sandusky, Ohio, for the past 20 years. 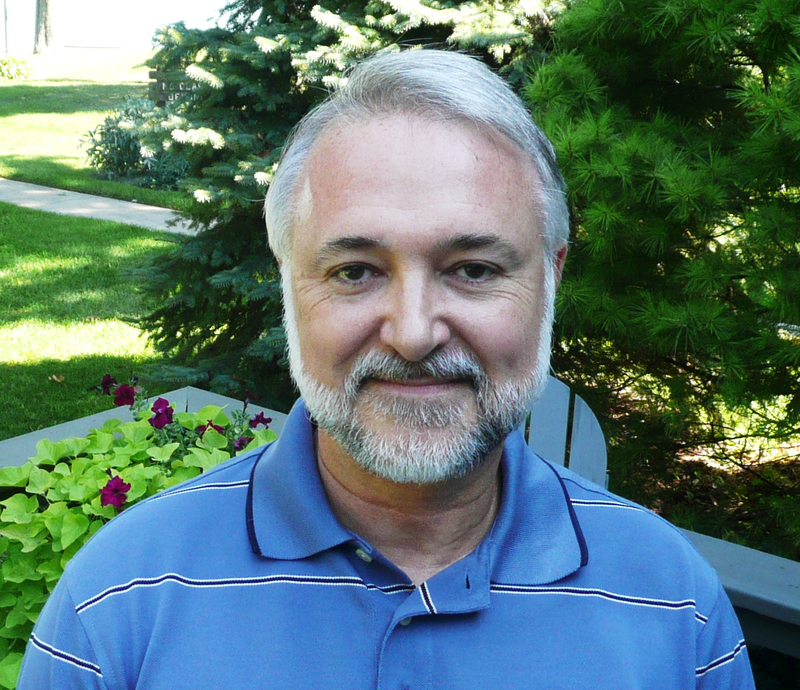 Mike also serves as the Director of Worship and Music at the First Presbyterian Church in Norwalk, Ohio. He is also the Business Manager for the Ashland Symphonic Youth Chorus and an assistant to the music department at Edison High School. In addition to his duties at Soundwaves, Mike also provides sound engineering for many area functions. He and his wife Patti are the parents of two wonderful daughters. A. Jaye Nordling — Head Audio Engineer for Spokane Opera House, Local 93 - I.A.T.S.E., 1980 to present, Journeyman. City Cable 5 Audio/Video Producer, Technician - Current. Technical Director & Audio Engineer for Spokane Symphony, Spokane String Quartet, & Spokane Opera. Trombonist, Vocalist & Announcer for 560th Air Force Band, Air National Guard Band of the Northwest, 24 years – Master Sergeant. Trombonist and Audio Engineer for Spokane Jazz Orchestra, 1978 to present. Vocalist with Top Flight Acapella quartet 1990 to present. Music and Audio Degrees from Eastern Washington University and Spokane Falls Community College. We are especially honored to have Jaye include engineering for Soundwaves in his schedule. 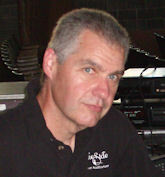 Ken Richer - Ken is an audio and video engineer based in Northwest Ohio. As an audio engineer with over 20 years of experience, Ken was already comfortable working on-location to capture once-in-a-lifetime performances. In 2004 Ken started working with a local television station to produce original video programming. Many of the techniques that he has learned along the way are able to be utilized today in capturing the high-quality recordings that Soundwaves has become known for. 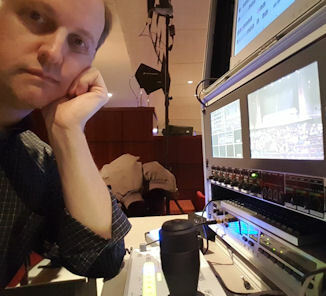 Ken also has several years of experience in streaming live events to the internet for a worldwide audience. Ken and his wife, Leisa, have two children; Veronica, who is attending the Boston Conservatory for Opera performance, and Nicholas, who is in high school. 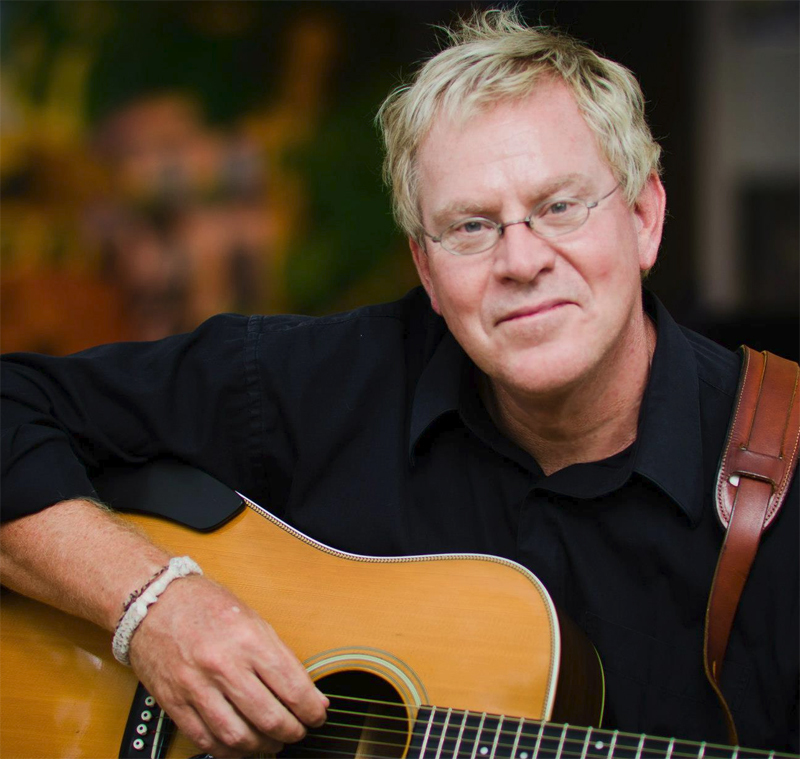 Chip Richter — Chip Richter is a singer-songwriter, guitarist, and recording artist. He has released four albums of up-beat, inspirational music for kids and families. When Chip is not writing, recording or performing with his band “The Munks”, he lends his ears, engineering skills, and creative spirit to the Soundwaves Recording team. Brad Shell — Brad graduated from Dover High School (Ohio) and then Ohio University with a Bachelors Degree in Percussion Performance. As a studio and touring musician, Brad has lived and worked in L.A. and Las Vegas and toured the country working with the likes of George Burns, Terry Richards, Suzanne Sommers, and groups such as The Coasters, The Drifters, The Marvelettes, Larry Raspberry, and Chip & The Munks. Coming back home to Ohio, Brad taught percussion for 9 years in the Carrollton Exempted Village Schools and continues to play professionally in bands and in the studio. We’re excited with what Brad brings to the Soundwaves Team as a musician, music educator, and engineer. 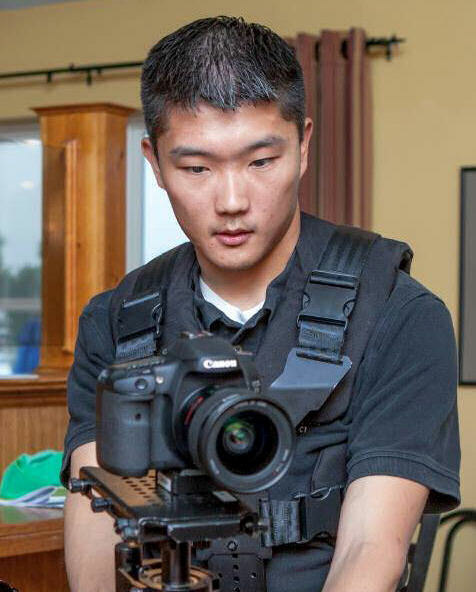 Matthew Van Ness - Matthew owns his own production company and has had opportunities to capture precious moments at some of Connecticut’s top-notch venues including The Riverhouse, The Society Room, Aria Wedding & Banquet Facility, The Barns at Wesleyan Hills just to name a few. During the off season, he can be found working with clients such as the Susan G. Komen, Race for the Cure Connecticut team, Rob Nevins of Living Lean, Lake Compounce, New England’s Family Theme Park, and others. Matthew graduated from the New England Institute of Art located in the Boston area with a Bachelor’s Degree of Science for Digital Video Production and Audio. He currently resides in Meriden, Connecticut working out of his home-based studio. Eric Van Wagner — Eric is an audio engineer and educator based in Columbus, Ohio. He currently serves as the Lead Audio Instructor at Groove U (www.grooveu.net), an accredited 2-year music industry school in the heart of Columbus. As an audio engineer he has worked with clients ranging from international acts to elementary school choirs, and has made over 1,500 recordings. He received his Bachelors in Music Education from Otterbein College in 1999, and completed an MBA in 2016. As part of his ongoing research into the history of recording Eric has been able to work in some of the most famous studios in the world, including Sun Studios, Motown, and Abbey Road’s famous Studio 2. At Soundwaves we utilize some of the best recording technology and equipment available today. We also use some of the best new and vintage microphones as well as proven recording techniques to obtain clear and natural sound. We’re fortunate that in the beginning, as Soundwaves was “gearing up”, founder Dan Canalos had the opportunity to have an in-depth phone conversation with one of the music industry’s recording pioneers, Jack Renner - founder of Telarc Records and winner of 36+ Grammy Awards! Mr. Renner’s gracious advice became the template for quality and excellence that we continually try to emulate. We’ll always be grateful to Mr. Renner for his humbleness, vast knowledge, and encouragement. Using top notch equipment, premium quality microphones, various microphone techniques, a lot of experience and tutelage from our mentors, we have developed what we call our Soundwaves “True Live™” recordings. These are natural stereo recordings with no overdubs. Using the natural acoustics of your performance environment when desirable, we determine which microphones and recording technique should be employed to capture the “truest”, most natural sounding representation of your group. But since room acoustics (reflections, standing waves, reverberation etc.) are so critical to the overall color and sound of a recording, and since all rooms or auditoriums aren’t created equal we also use, with discretion, new digital technology which allows us to place your group in a true virtual three dimensional acoustic space. What does this mean? Simply, that we do our best to bring you the absolute highest quality and natural sounding recording no matter where your recording is made. It all begins with Sound. Soundwaves utilizes high quality condensor and dynamic microphones, custom built microphone cables, and industry proven techniques to capture your music. The end result is a clarity of image, sonic texture and phase coherency many other recording companies' recordings just won’t have. There is nothing quite like a high quality video recording to bring back the excitement and energy contained in a once-in-a-lifetime performance. Our video systems are robust and versatile enough to record the performance from multiple angles using the latest digital HD camera technology. We are able to get unique perspectives from individual musicians to full orchestras and ensembles, all from a single control point and with a single engineer, saving you time and money! Our video products are edited to DVD with a full navigation menu. Here is what your colleagues are saying about Soundwaves!